Some homes don't have ample space for installing a new heating and air conditioning system, and we know that. This is especially true in older or historic homes with high ceilings, a low crawl space, and lots of other odd, hidden obstacles throughout the walls that some homes have in Bucks County or Philadelphia. But, with a ductless split system, none of that matters. 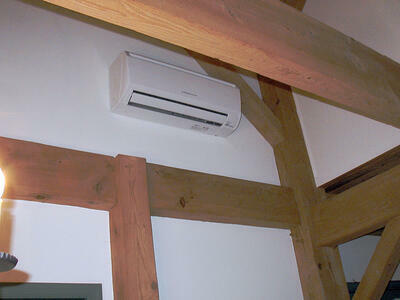 A ductless wall unit in a Doylestown cabin. Mitsubishi systems don't use ductwork. So your concerns of trying to find extra space for this installation won’t ever matter because your biggest concern will be deciding which wall to mount the small, unobtrusive unit on. Easy enough, right? Furnaces, boilers, and heat pumps are typically large appliances that require a lot of dedicated space, but the components of a Mitsubishi ductless split system do not. There's no need to have an extra fan taking up more space in your home. 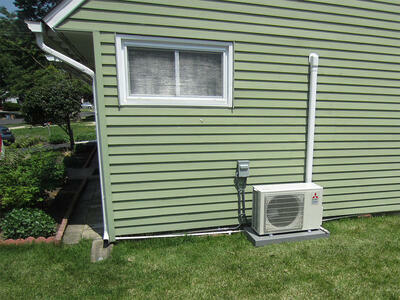 This system has two small components that will keep you cool and comfortable in that hot summer heat. Your outdoor component, the compressor, is likely less than half the size of a traditional unit. And, instead of a series of large ductwork, there's only a small hole required through the wall to connect your compressor to the indoor units. The indoor units are also small, and mount directly on the wall. It's as simple as that. Maybe you want some rooms warmer or cooler than others. With a traditional forced air system, the best you can hope for is opening windows and adjusting the main thermostat to get the temperature you want. 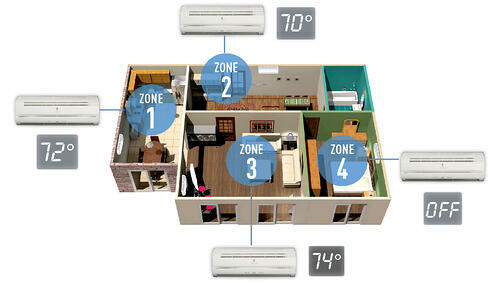 Mitsubishi systems give you total control by creating climate zones. 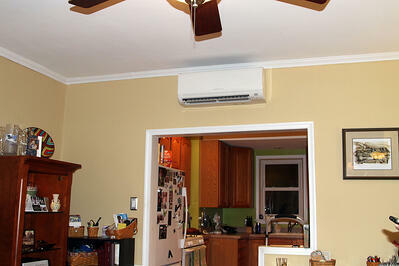 Ductless systems can have a unit mounted in each zone. By setting the temperature for a zone, YOU control your comfort. INVERTER-driven compressor technology lets you have warmer bathrooms, cooler bedrooms, and a moderate living area without adjusting the thermostat each time you want to increase or decrease the temperature. Its comfort and convenience at its finest. Who likes freezing cold air blown in their face as soon as their system starts up? 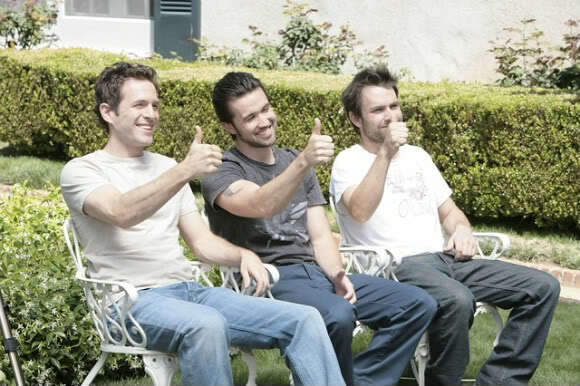 Then again, if it's 100 degrees outside it might feel pretty nice. But anyone with forced air heat knows the cold blast that comes out through vents when the unit kicks on. But ECI offers you a system that never sends out cold air when you don't want it to. Mitsubishi Hot-Start™ technology tells the unit to heat up to the temperature that you want before the fan switches on. Hot spots and cold spots happen in every home. Where you might have a window that turns one room into a sauna, or a corner where it's always so chilly that you need a space heater, a Mitsubishi system with i-see Sensor™ 3D technology actively monitors the zones and makes adjustments to keep the temperature even. This sensor is another way that the systems we install help improve your quality of life. Anyone can get up and adjust a thermostat. But Mitsubishi does it for you, and you won't have to deal with making the rest of your home too cold or hot just to improve one spot. Mitsubishi takes home heating and cooling to the next level. ECI Comfort can make a comfortable home a reality even when temperatures may seem unbearable in the summer. We can add a system to supplement what you've got, or create a whole house system. Whatever suits you best. Your worries of dealing with the hot summer temperatures and humidity will be kicked to the curb with a new ductless system in your home. You'll be able to sit back, relax, and enjoy your summer without the worry of humidity getting in your way. Give ECI Comfort a call today for more information at 215-245-3200 or click the button below to learn more.